Things are moving fast my friend. You better hang on. It would appear for the most part we might want it that way in some respect. Perhaps all the noise, all the lights, all that stuff makes us feel we are getting something done. Perhaps we are. So, we keep busy – we keep moving. We accomplish. We keep adding to the fray. But, the world does not exist in the linear. We do not learn on a flat plane. We do not experience the world in the singular. In this other place knowledge and insight are not always earned in hours or minutes. And wealth is not determined by how much we have. I don’t expect that this small knowledge will transform you completely. Afterall, it is not something that you don't already know – but we might do well to remember it from time to time. I suppose that is what I am trying to tell you. Because, one thing is sure: our lives are only an experience. Really, they are. Good or Bad - it is our experience. I would suggest that this is indeed what we live for. EXPERIENCE. And, if it is one thing that is immediately clear from those little people who have just appeared on the planet – our children – it is that EXPERIENCE is our only real currency in the end. What else will you gain? Now, of course - life can continue for some time. So, we are not to blame for getting tired and forgetful. By adulthood you are already gathering enough stuff. It's just that we need to be reminded at times - or need to be open to reminder. Let me remind you then: there is a wealth to be found in just waiting - just watching. Loitering is full of potential. I'm on a National Express bus travelling from Heathrow Airport to Gatwick Airport. I'm in England. I've got another appointment, something important to tend to. I'm deep in thought, it has to be numbers or something somebody said to me. It's always damned numbers. It's always words. I'm sitting near the middle of the bus, I've determined it is safer here. I'm next to a window - large windows. This is a tour bus. We are up high and the view of everything passing us by is generous. The bus is not crowded. It is late evening and the sun is making its last splash across the sky - bouncing off clouds and stretching itself thinner and thinner. The colours alone are mysterious. But, I'm getting ahead of myself. The view at present is one of cars and trucks (lorries) taking things and people to and fro. After a few cars and trucks monotony sets in visually. So, I'm back to thinking. Numbers. There are 5 other people on this bus with me besides the driver. There is a young couple at the back, reclining as young people do, with their iPods. Near the front of the bus on the same side as me are another couple. They are either talking or staring at the ground. Their young son, about 5 or 6 years of age is sitting directly behind them. He, of course, is pressed to the window. Looking up, I see him looking back at me. I wave. He waves back. He is back to looking out the window. Without thinking I follow his lead. More cars and trucks. But, he apparently isn't looking at them. His head is tilted a bit higher than that. He is looking up. So, I look up. I see what I described to you - the setting sun and clouds. Up at the highest point the sky is a darkish prussian blue. As it graduates down on the horizon it becomes more magenta-like. Perhaps, it is a peach colour I think. Whatever it is, it is for that brief moment something stunning - and I've seen my fair share of sunsets. 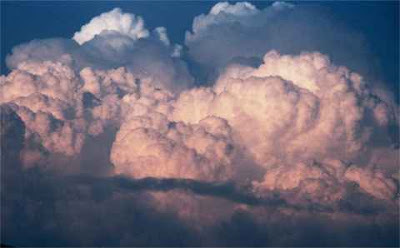 A mixture of storm clouds coming in all dark and brooding at the bottom - stretching and billowing high up into the sky in a pure cream colour. The universe has a natural measurement. I look back over to the front of the bus to see the boy looking back at me. He points to the sky as if to indicate something childishly tremendous has occured. I'm thinking it must be a UFO given his quiet excitement. He points for a few seconds and then looks back out the window up above the cars and trucks. Above all that speed, he is looking at something else. i'm not sure what he was really looking at. There are many things in a sky. You can't ever be sure. But, I know what I experienced in that moment. And, I will tell you this. It was enough to carry me for several days. Any of you out there have any magic 'kid' moments you care to share? this is what happens when my kids go to bed early...I spend hours blogging and I can't stop, I just spent an hour at The Sartorialist, then got side tracked by Design Sponge, then finally at Print and Pattern, where I found Shinzi Katoh! ...and then spent quite some time on his website and found that I loved just about everything! 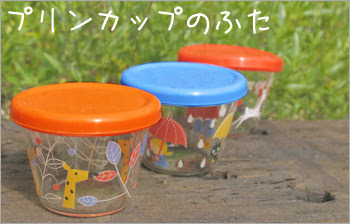 I will share just a few photos here with you...but please go to his website yourself, and dare to skip the english version (very short) and get into the japanese version where it is almost like a maze of wonderful zakka! (maybe because I don't understand anything and just keep clicking around!) enjoy! 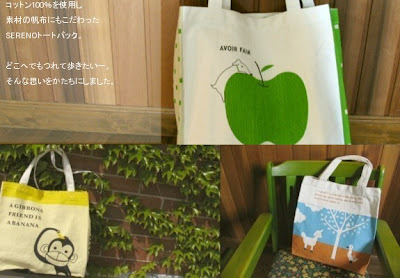 an amazing array of easy and casual tote bags! 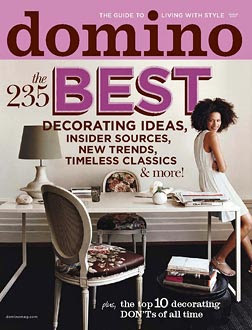 I love magazines, I have to say that Domino is my favorite and when I find it in the mailbox, I run in the house and hide in the closet and read it...immediately! Dwell has helped us immensely with our house renovation and then there is Brain, Child! 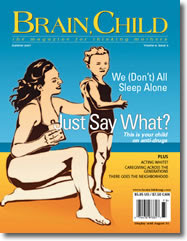 I save Brain, Child for my night readings and end up staying up past midnight reading their interesting, intelligent and warming stories that resonate so well with my attitude about parenting...no hysterical headlines, but thoughtful reading that hits you in your heart and mind (and funnybone!). My favorite section is "talkback" where they ask a question to readers and find out what is on peoples mind, and here are few from their last issue, visit their website for a subscription and also to find out what is the question for the next issue! Then you can test your writing skills yourself and have some fun! In the last issue, Brain, Child asked their readers what beliefs they have about their kids that they can't prove. Science schmience. Here is a selection of answers submitted by their readers. I have two: 1) Despite what my children's pediatrician says, teething does seem to coincide with a low-grade fever. And 2) children come preprogrammed with a certain question quota. Every day they need to ask so many questions, even if they already know the answer. My parenting truth? Candy is a good thing. My sons find delight in so much--caterpillars, the sound of the wind, pine cones, puddles, garbage trucks, mailboxes--they mock my jaded, blase attitude on a daily basis. And candy is for them the apex of amazements. These colorful, sweet, edible confections bring them such unmitigated happiness that I refuse to let my better sensibilities about nutrition and dental hygiene stop them from relishing a lollipop. As we age, our joy slowly cedes ground to self-consciousness, insecurity, and the skepticism borne of experience. I am not ready for them to know that candy is just one of life's evil tricks, doubtless hatched by a cabal of greedy dentists. For now, I just unwrap a Starburst and watch the joy bloom on their faces. I was once pressed to state what I believe, and the only thing I came up with is something for which I have no proof. My children are gifted. That there is no evidence for this is irrelevant. My kids only look average; really, they have untold depths, hidden talents, a capacity for things I cannot even imagine. No one will ever convince me otherwise, so let's go back to discussing the easy stuff, like gun control, abortion, and school funding. I secretly, irrationally, believe in June Cleaver. I know that academics have made entire careers out of debunking our stereotypes of 1950s family life: one book on the subject is called The Way We Never Were. I know the research shows that modern moms stack up just fine against their predecessors. For one thing, despite all the demands we juggle, we actually spend more time with our kids than mothers did a generation or two ago. But I still find myself believing that, if I did everything just right, life could somehow be nothing but effortlessly immaculate rooms, dinner on the table at five, and calm, wise parents guiding their children through minor dilemmas in thirty minutes or less. Of course, my family's cheerful (well, usually cheerful) chaos doesn't resemble that ideal in the least. And I have to remind myself that messy imperfection, struggle, uncertainty, and sudden wild hilarity are where real life is. so sign up for a subscription of your own and you will find that you are not alone in this parenting world! 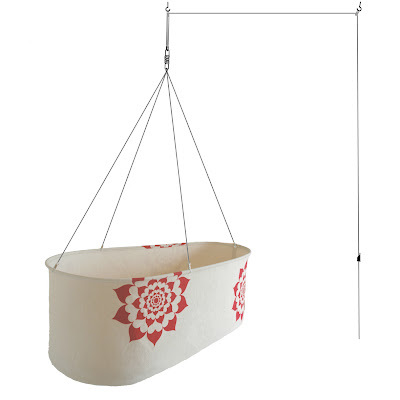 design torget is a terrific idea, which I think exists in the United States but usually in collaboration with a museum. Design Torget is great because young designers have a store that will market their product while they can spend their time on what they do best...designing! On our recent trip to Stockholm we made a visit and these are some of the things that I found interesting....but there was much, much more, so visit their website to see more items from young Swedish designers (and from around the globe as well!). These are some of the kids products, but they have many categories. 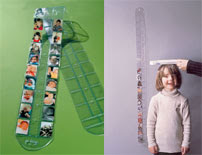 ok, this was one of the best ideas I found...this is how it works you measure your kids and then slip a photo into the plastic of what they look like at the height they are at (and don't forget the date! 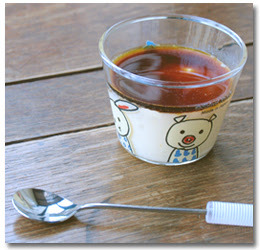 )...I loved this idea! 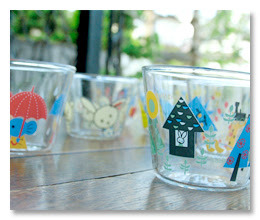 price: 175/kr (about $30/usd), I may have this at nonchalant mom soon...we'll see if I can get it! 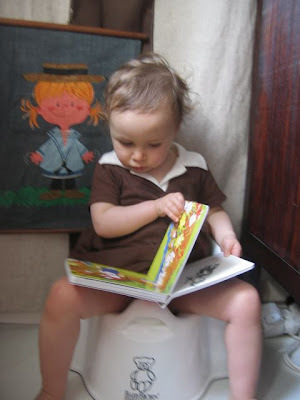 1. put some books by the toilet...maybe then they feel just like the grown-ups! 2. make sure that they see you on the toilet, so they can be just like you! 3. I remember seeing pictures of myself with my bottle while on the toilet (and for some reason I was up on the kitchen table as well, but I don't think that is a very good tip! ), leisurely sitting on the toilet with a bottle, that sounds nice! 5. target practice for boys is the best! we usually made it a game and peeing off the deck was really the most fun and trained him immediately! ...sorry girls! as always, I would love to hear more tips from everyone so please comment on additional tips! GOOD LUCK! I have used breast milk on my son's eczema, he has a very mild form and it usually flares up when we travel. you can even let the breastmilk separate and then use the "cream" from the top to spread over it...I received this tip from a woman at a la leche league meeting, who claimed it worked for just about everything! I am also a fan of using Aveda balancing oil for sensitive skin on my son's flare-ups and it goes away pretty quick. (and their acne balancing oil is a miracle for, what I call, grounders). eczema shows up frequently at the back of the knees and can be irritated by travel and stress, I have a theory that my son gets eczema when we travel because no matter how much I explain it, traveling is something that is "unknown" for kids (where are we going?, what are we doing?, the airplane is exciting but crazy and I just love to be at home!...right?!) and therefore scary and there is the stress... I truly don't think that there is a cure-all for eczema, it is one of those things that is very personal, and amazing enough all of the stories that I have received is about boys...I was told that boys were more susceptible..but so many kids have it... there are also the basic things to avoid, sugar, cow's milk, soy milk and chocolate are the first to go! I also try to be calm when dealing with my son and his itchy skin and I never bring it to his attention, I just tell him that it's time for a body massage and he gets all excited! then both my kids lie down in front of me and we do a Weleda calendula massage before bed. If you have eczema stories please share them with a comment below or if you want to keep it personal please email me!